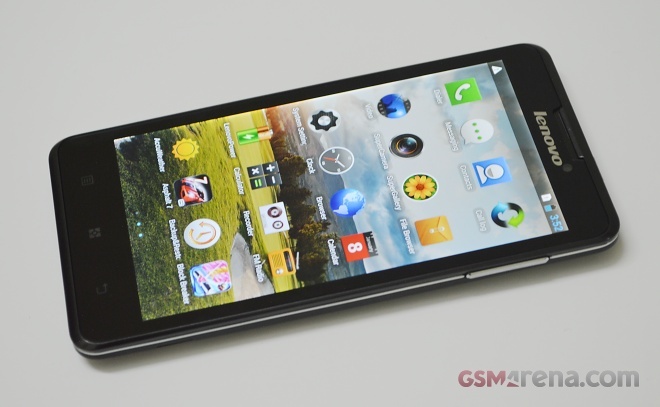 Yet it’s smartphones like the recently announced P780 that Lenovo is strongest at producing. The handset brings four 1.2 GHz Cortex A7 cores along with PowerVR SGX544 GPU on a MTK6589 chipset along with a whopping 4,000mAh battery aiming to become one of the longest lasting smartphones on the market. The Lenovo P780 comes in standard retail box, inside which you can find the USB cable, headset, A/C adapter and some paperwork, as well as the nice surprise that is the USB-host cable. The Lenovo P780 is built using a combination of black plastic, chrome and brushed metal that gives a premium look to the smartphone – something rather hard to find at this price point. At 176g, the P780 is certainly heavy but that also contributes to the very solid in-hand feel it gives. On the front we have the display along with capacitive home, back and settings buttons right below it. There is a secondary camera located on top. The power button, 3.5mm audio jack and the USB port is designed at the top of the smartphone. The volume rocker on the right side is the only other physical buttons on the device after the power key. The back of the smartphone is where we see the 8 megapixel sensor with LED flash and a microphone pinhole for noise cancellation. The speaker grille is placed at the bottom right corner. Underneath the back panel lies the gigantic non-removable battery as well as the three card slots – two for SIM cards and one for microSD card. Lenovo P780 sports a 5-inch IPS LCD display with a resolution of 720 x 1280 pixels. The numbers add up to 294 ppi pixel density, which is quite sharp by any standards and you will have a pretty hard time telling individual pixels apart. Better yet, the 720p panel on the P780 offers great colors, so the overall image quality is quite good. Sadly the display is very reflective and the viewing angles are not that great, so it lack the high-end vibe of the best screens out there, where icons look as if painted on the glass. 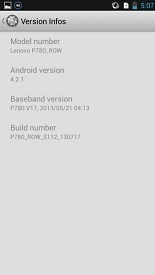 Lenovo P780 is powered by the Android 4.2.1 Jelly Bean OS and comes with a few cool software tweaks. 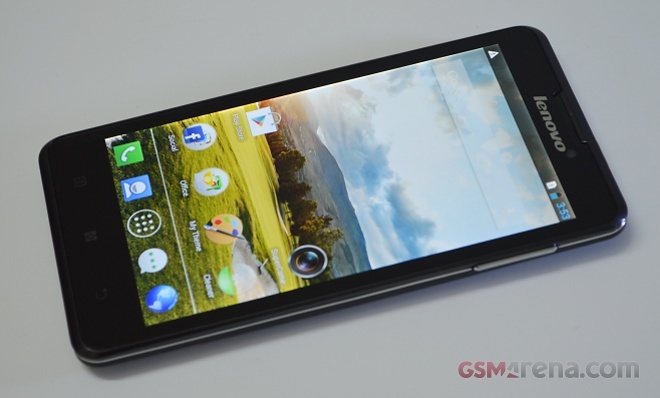 The quad-core CPU along with 1 GB of RAM helps the device run smoothly, although we encountered the occasional lag. 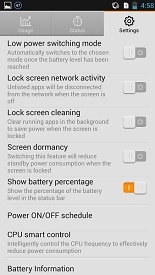 The first interesting bit of home-backed software that the Lenovo P780 brings is the power management app that aims to enhance battery life. 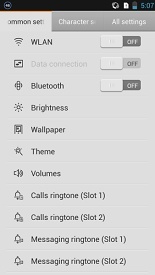 You can always customize the settings to match your needs, but the pre-defined power saving modes actually works pretty well. 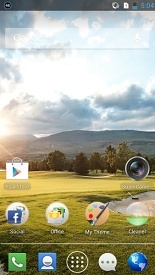 The lock screen, music and the movie players look and behave very similar to their stock Android counterparts. The notification drop down menu has a wide range of settings, but lacks the quick toggle shortcuts, which is less than ideal for usability. The camera on the back has an 8 megapixel sensor and a very simple interface with the settings grouped into three categories – Basic, Advanced and Others. You can also add lens effects, magic effects and color effects before or after you capture images. Lenovo P780′s camera also has the ability to shoot images in burst, night portrait, HDR, panorama, low light, micro and a few other modes. We decide to take the Lenovo P780 for a spin and stack it up against some of the other smartphones we’ve reviewed to find out more about the raw power of its chipset. The first challenge was when we put the single-core performance to a test with the Benchmark Pi. As we expected, the P780 found itself in the middle of the mid-range club. 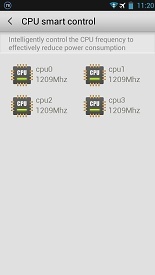 Next up was the AnTuTu benchmark that aims to show the overall performance of the device. The result reveals that the smartphone is punching well above its weight and matches some far pricier offerings. We then had the PowerVR SGX544 GPU sweating at the Epic Citadel test. Lenovo P780 managed to come up with some respectable score that is on par with 2012 flagship smartphones. 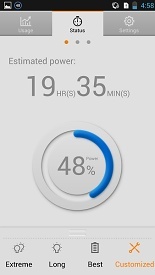 Last up was the web browsing performance of the Lenovo P780. And, the smartphone again finds itself in the middle of the pack with a score of 1452. We took a few samples from the 8 megapixel sensor of the Lenovo P780. The color rendering was very accurate, but that was one of the few good things we can say about the images. Noise levels are rather high, while the fine detail is rather limited and so is dynamic range. 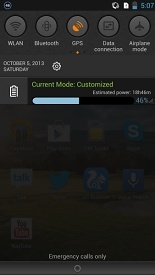 The 4,000mAh battery in the Lenovo P780 is among the biggest we have seen in a smartphone so far. The ample juice pack just begged to be put through its paces. We weren’t disappointed, as the P780 offers amazing endurance and became the new champ, topping our web browsing and video playback charts. The Lenovo P780 dethroned the LG G2 with 15 hours and 23 minutes of web browsing, while the Motorola RAZR MAXX, which held the throne for ages now bowed down to the new king, who managed 17 hours and 46 minutes of video playback. 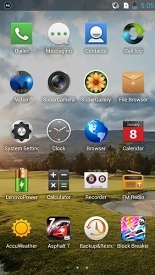 Already available in several markets, the Lenovo P780 is certainly a very interesting offering with its $306 price tag. It’s not quite the perfomance powerhouse but its quad-core processor and a capable GPU are just enough to ensure a smooth overall user experience and that’s enough for the mid-range market. However, the standout feature is definitely the gigantic 4,000mAh battery, which topped our all-time chart in both tests we ran. Unfortunately while the hardware specs are more than reasonable for the price, the software running on the P780 comes with a fair share of bugs that often affect the real-performance of the device. As long as Lenovo corrects that with timely patches and updates, it might have a real winner on its hands. Because at the end of the day, Lenovo P780 hardware does more than enough to justify the price tag it comes at. With a premium design, one of a kind battery, a very decent screen and dual-SIM capabilities it’s got more than enough character for a mid-ranger.